North Carolina had 1,441 traffic fatalities in 2016. There were 267,494 accidents reported in NC in 2016. The majority of crashes occurred between 7 a.m. and 6:59 p.m..
You shop for a vehicle with safety in mind. Whether you are looking for a family sedan or a sporty vehicle for yourself, you want to know that you are going to be protected when you travel down the road. As North Carolina car accident lawyers, we know that people have a lot of faith and expectations when it comes to the safety features in their vehicles. We believe that it is important to point out that the person behind the wheel is still responsible for their safety and that of others on the road no matter what type of safety features any vehicle may have. Research has shown that it takes more than the installation of safety features in vehicles to prevent serious injuries and deaths in car accidents. If drivers don’t educate themselves on the purpose, working parts, and limitations of these features, they aren’t driving with the necessary knowledge that could save their lives. Here is some information and examples of safety features that every driver should know how to properly operate if they are installed in their car. Blind spot warning systems aren’t yet standard or included in the base model package of all vehicles. You may be wondering if the feature is worth the extra money. Here’s the basics: Blind spot warning systems monitor the left and right sides of your vehicle. When sensors detect a vehicle in your blind spot, a visual and auditory warning is triggered and the driver is now aware of the hazard. If you are purchasing a truck, an SUV or a vehicle with limited visibility and you do a lot of highway driving this is a great feature. Even if you are purchasing a smaller vehicle, or a vehicle with large windows, or you only drive on city or rural roads, there is still value for this safety feature. Blind spot accidents can occur anywhere. This feature can certainly prevent accidents but again, drivers are ultimately responsible and should not solely rely on any safety feature. Lastly, if you have this feature, make sure you know how to use it by consulting your driver’s manual or dealer where the vehicle was purchased. A forward collision warning system can warn drivers of an imminent crash, allowing the time to react appropriately. Consumer Reports does recommend that people spend the extra money on this safety feature when they are considering whether to bump up their package. Imagine the benefit of your vehicle quickly calculating your speed and the speed of the vehicle in front of you and how those speeds relate to a potential impact. This feature allows your car to send you a warning of a potential frontal impact. It is hard to quantify the cost and value associated with something that can prevent you from becoming seriously injured. These systems don’t act immediately. They will first give you a chance to maneuver your vehicle in such a way to avoid a collision by giving you a warning (this feature is typically coupled with forward collision warning). If you don’t use the brakes, the system will do the job for you, working to help you avoid a forward collision. When looking at an automatic braking system, ask your dealer if the vehicle utilizes dynamic brake support, crash imminent braking or both. This feature is a great example of the need to understand your safety features. Know what this feature can and cannot do and how to use it! Let’s say you are backing up when a car suddenly enters your path. This safety feature will alert you to that vehicle, giving you time to brake and avoid a collision. This is not the same as having a rear-facing camera in your car. This is a warning system that will light your dash or display. It does not work in angled parking spaces and depending on the technology, it may not work in enclosed spaces. It is not suggested that anyone relies solely on this safety feature. Always check around your vehicle, use your mirrors and look over your shoulder before backing up. Again, this feature is not meant to take the place of checking around your vehicle to make sure it is sage to reverse. This feature will let you know that you may be drifting out of your lane. If you couple the lane departure warning safety feature with lane keeping assist, your vehicle will make a small steering or braking correction if you don’t. Some experts recommend that anyone who is going to spend the money for lane departure warning should only do so if they plan on coupling it with the lane keeping assist. Some systems are sensitive and warn too frequently, causing drivers to mute the alerts. Your money isn’t going to be well spent if a small beeping noise is going to irritate you to the point of silencing it. If you don’t use cruise control frequently, this feature may not be worth the cost. Here’s what it does: For example, you have your cruise control set and a car merges in front of you and slows down. This feature allows you to not have to do anything. The system takes over, makes the adjustment and follows the vehicle in front of you at a consistent distance. There is nothing wrong with shelling out a bit of extra money for the latest safety features if you have that capability. There is something wrong, however, with buying them and having no idea how they work. If you have safety features on your vehicle, take the time to learn what they are and how they work. You also need to know when you can depend on them and when you can’t. Remember that you are still ultimately the one in control of your vehicle and you are responsible for safety. It’s also important to note that, the more safety features a car has, the more likely you are to become content and inattentive when driving. Always stay aware; imagine your car has no safety features to protect you when you drive. If you are in a car accident in Charlotte or anywhere else in the state, you need North Carolina car accident lawyers who are ready to fight for your rights. Call our office today to schedule a free case evaluation and discover what we can do for you. Our experienced team of accident lawyers will work hard to fight for the compensation that you deserve. (855) 969-5671 is the number you should dial for a free case evaluation to find out how we may be able to help you. There were 4,464 crashes involving semi trucks in North Carolina in 2016. In 2016, there were 95 accidents involving trucks pulling two trailers. 1,256 people were killed in those accidents. Truckers drive the road every day, and most do so with safety in mind. That said, driving on dry, even roads is a much different beast than driving over icy winter roads. When the weather takes a turn, driving challenges quickly rise, requiring a different skill set. Unfortunately, many drivers don’t change the way that they drive during poor driving conditions and accidents result. Driving in bad weather is risky. It is harder to see, and there can be less traction and grip for tires. If you’re a trucker, here are some tips to get you through this season safely. The best thing you can do to keep yourself and everyone on the road safe is to slow down. Many at-fault accidents are due to excessive speed. Keep in mind that the set speed limit may not be the safest speed at which to drive when driving conditions have deteriorated. If the roads are slick with rain or snow, slow down and take as much time as you need to get where you are going. It’s always a good idea to check out a traffic map of your route before you start the engine. You’ll know if there are any tie-ups or accidents along the route which could put you in a time crunch. Leaving earlier may be a necessary move. You may even want to consider finding an alternate route to avoid traffic altogether. Getting behind a slower driver can be aggravating, especially in states that experience snow every winter. No matter how irritated you are by the driver in front of you, keep a safe following distance. As North Carolina truck accident attorneys, we know that no one wants to be the person responsible for any accident, especially a catastrophic accident. Unfortunately, this is exactly what can happen if you drive so impatiently that you are on someone’s bumper — especially in inclement weather. It seems that traffic travels in a group along the highway. It’s an odd phenomenon, but one that seems to happen during poor driving conditions caused by winter weather. One option is to go it alone. If you try to get away from the pack, you can place distance between your rig and the other vehicles around you. More space gives you plenty of room to maneuver should you need to. This is a tip that many commercial and non-commercial drivers don’t follow. If the conditions dictate that you pull off the road and wait for the weather to pass, then do it! It is tempting to push on so that you can arrive at your destination at a designated time but arriving later than planned is better than not arriving at all. Don’t be a hero. As a professional driver, you know what you and your rig can handle and what you can’t. Never feel as though a deadline is more important than your safety or that of others on the road. If you believe that the weather is inhibiting your ability to drive safely, get off the road and wait until things clear up. Check your vehicle before you get on the road. Make sure that the brakes, heaters, wipers, defrosters and all other components of your truck are in proper working order. Make sure that your windows, lights and mirrors are cleared of any dirt or snow. Don’t be in such a hurry to get on the road that you fail to ensure the safety of your vehicle. Making sure that your truck is road ready is one of the safest things you can do. Necessary maintenance should be completed before you get on the road. If you know there is a problem with your rig, you have no business driving it. If you don’t own the truck or aren’t responsible for its maintenance, alert the person responsible for repairs. If you don’t feel that that person is taking you seriously, don’t be afraid to speak up until you talk to someone that will listen. Any accident can be catastrophic, especially accidents involving large commercial vehicles. If you are involved in a truck accident in North Carolina, reach out to our team of Charlotte truck accident attorneys. We can help you fight for the compensation that you are entitled to under the law. Call us today at (855) 969-5671 and schedule an appointment for a free case evaluation. Our team of injury professionals is ready to speak to you to see if we can help! If you are going to be participating in Halloween festivities this year, our Charlotte personal injury lawyers would like to take a moment to remind you that safety is everyone’s responsibility. Trick-or-treating is held at various times throughout the local area and adult revelers may be heading out later in the evening. Halloween is wildly popular and some people will start celebrating before the sun goes down. Here’s how you can help to make Halloween safe for everyone. As A Driver you need to be extra careful when driving on Halloween. Children are excited and may not remember to do all the things their parents told them. It’s not out of the realm of possibility for a little one to dart out into the street without looking. Additionally, some people will be celebrating their night with alcohol and unfortunately some will drive when they shouldn’t. The normal speed limit is 35 mph through a neighborhood. We suggest cutting your speed by 10 mph or more. Creep through a neighborhood so you have time to react should a pedestrian run in front of your vehicle. Distracted driving is a significant cause of car accidents throughout the nation. It can be an even bigger problem on Halloween. Pay attention when you are behind the wheel. When your are behind the wheel it is not the time to talk on your cell phone, eat your lunch, or update your Facebook status. Don’t be a distracted driver on Halloween, or ever! Take a walk around your vehicle before exiting your driveway. Look as far as you can down the sidewalk before pulling in. If you notice trick-or-treaters in the area, be extra vigilant when maneuvering into or out of your driveway. It’s too easy for a child to walk behind your car without you seeing them. No matter the time of day or night, if you observe a driver operating their vehicle in a reckless way, call 911. Don’t ignore it thinking someone else is calling the police – everyone else may be thinking the same thing. It’s up to you as an adult to make sure kids are safe on Halloween. You can give all the lectures you like, but without preparation and supervision, you can’t assume that your little ones will be okay. Here are some tips you can follow if you will be handing out candy or have kids that will be asking for it. One of the leading causes of injury during Halloween is car accidents. Children and other pedestrians are hit for different reasons but most often because they weren’t seen. Make sure your children are highly visible. Put reflective tape on their costumes and have them carry a flashlight. Glow sticks attached to your child’s costume or treat bag will also make them more visible. There should be at least one adult supervising a group of kids trick-or-treating. If you can’t go with your little ones, find someone who can. No child should be going door-to-door without a watchful eye. It is easy to let your child pick out any costume they like and have them put it on minutes before they walk out the front door. This is a mistake because not all costumes are made with safety in mind. Before your child is allowed to ask for treats, you should inspect their costume. Be sure that it isn’t a trip hazard, blocking your child’s sight, or has sharp pieces. Neighbors will try to outdo each other when it comes to decor. Don’t compete with the guy next door without taking safety in mind. Pay attention as you are decorating. Keep your walkways clear and avoid decorations that could pose a safety risk to anyone entering your property. You’ll be saving yourself from a potential headache if you can prevent people from being injured while they are on your property. Parents have visions of razor blades in candy but the truth is that this is extremely rare. Be on the lookout for anything that could trigger any allergic reactions for anyone that may eat the candy! Also watch for wrappers that are opened, or candy that is old or out of date. Take the time to look at your kid’s candy before you let them dig in! ● 70% of parents allow their children to trick-or-treat on their own. ● There are nearly 4,000 injuries reported each Halloween. ● Kids are twice as likely to be in a fatal traffic accident on Halloween. Halloween should be a great time for all involved! No one wants to end the night in the emergency room. Take these suggestions into consideration and be mindful of your safety on Halloween. Have fun and be safe! If you are hurt on Halloween, call our Charlotte personal injury lawyers. If you get into an accident or have injuries caused by someone’s negligence or misconduct, you may be entitled to compensation for medical bills and more. Our attorneys are here to help and we are ready to fight for the compensation you deserve. Reach out to us today to schedule your appointment for a free case evaluation and learn more about your legal rights. Call (855) 969-5671 to see if we can help. Drowsy driving is estimated to cause up to 6,000 fatal wrecks each year. Commercial drivers may be more likely than Non-Commercial drivers to drive drowsy. People who snore or sleep 6 or fewer hours at a stretch are more likely to drive drowsy. When you are involved in a car or big truck accident, you are understandably anxious. 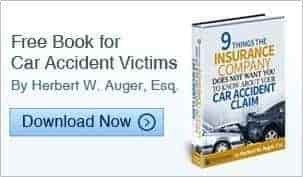 Due to the catastrophic and powerful nature of car and big truck accidents, victims are often left with severe physical injuries, emotional turmoil, and financial difficulties. Our Charlotte truck accident attorneys are here for you and your family if you fall victim to a drowsy driver. Here is some helpful info about drowsy driving. No one can argue that truck driving is a tiring job. The occupation may not always require heavy lifting, but it does require driving for long stretches of time while remaining alert, something that can be difficult to do. According to a study released by the University of Minnesota, Morris, commercial truck drivers who have obstructive sleep apnea and do not adhere to their treatment protocols are at five times greater risk of crashing. Sleep apnea, a disorder that causes people to momentarily stop breathing when they are asleep, causes daytime sleepiness. This, in turn, can result in drivers who are too fatigued to be on the road. Obstructive sleep apnea is estimated to affect nearly 25 million adults in this country. For the study, researchers looked at 1,613 truck drivers diagnosed with obstructive sleep apnea and 1,613 drivers without the disorder. They looked at drivers with similar experience and approximately the same number of hours on the road. The drivers with obstructive sleep apnea were all given the same prescribed therapy. Close to 700 drivers followed the treatment, 600 followed it partially and 400 did not follow it t all. The rate of preventable accidents among truck drivers who did not follow their prescribed obstructive sleep apnea therapy was five times greater than those who did. Those drivers who only partially followed the therapy had a crash rate similar to those who followed it completely. The study shows that untreated obstructive sleep apnea is a danger to transportation safety. The recommendation of researchers is to screen all potential commercial truck drivers for the condition and to treat those who are found to have the disorder. Both the Federal Railroad Administration and the Federal Motor Carrier Safety Administration announced that they would be gathering more information on the effects of obstructive sleep apnea on their workers. According to a survey of 150,000 adults, 4 percent reported falling asleep within the past 30 days. One of the best ways to prevent drowsy driving, aside from catching enough ZZZs at night, is to know the warning signs of drowsy driving. Even though we discuss commercial drivers in this post, everyone should know that ANY driver that is drowsy driving is dangerous whether they are in a semi or in a car, van, SUV, etc. If you notice that you or your driver are showing any of these signs while you’re driving, it’s time to get off the road. This is an obvious sign of being tired, but a yawn here and there also signals boredom. What you want to notice is frequent yawning. If you notice frequent yawning in a short period of time, chances are high that it would be a good idea to take a break from the road. We’ve all been in that place where we can’t remember how we got where we are. This is especially true of commuters who take the same route every day. Our brains go on a sort of auto pilot and we discover that we can’t really recall getting to work. This is normal but still dangerous. It’s even more dangerous if you don’t take the same route every day and still find yourself wondering about the last few miles. You’re driving down the highway and thinking about something else when all of a sudden you miss your exit. It’s not something to be too concerned about. It’s when you weren’t really thinking about anything else that you need to worry. If you miss an exit, or several exits, you could be too tired to drive. It may be time to just pull over for a while and take a nap. All the sudden you find yourself jerking the wheel to the right to get fully back in your lane. The next thing you know, you’re moving to the left to get back into your lane. Drifting is a common sign that someone is too tired to operate their vehicle. If you find yourself drifting, ask yourself if you may be too drowsy to drive. Those rumble strips on the side of the road are there to alert you to something. It may be that you’re drifting too far, or it may be that you need to slow down. If you’re hitting the rumble strips on the side of the road and aren’t trying to get off at an exit, you’re drifting. The vibration and noise from driving on rumble strips will hopefully wake you up and make you realize that your driving is not at its best. If you can’t stay off the strips, it’s time for a rest. If you have been involved in a car or big truck accident in Charlotte or elsewhere in North Carolina, you need an experienced injury law firm like Auger & Auger on your side. Having an advocate by your side as you move forward after your accident is one of the many potential benefits of hiring our law firm. Call us today at1-855-969-5730 to find out more. Call our team of Charlotte truck accident attorneys today for a free case evaluation and discover your options. We are here for you. Call today. 174 people lost their lives on as a result of workplace injuries in North Carolina in 2016. 59% of these injuries were caused by either transportation accidents or injuries involving other people or animals. Falls, slips, or trips accounted for 26 deaths. People across North Carolina go to work every day. Unfortunately, there are numerous work-related Injuries that happen every day. Some of these injuries are minor and require little to no medical attention at all, while other injuries may be very severe resulting in hospitalization and in the most serious cases they may result in catastrophic injuries and fatalities. Some industries are inherently more dangerous than others. Construction work and transportation jobs are often hazardous. That doesn’t mean that other occupations don’t have their fair share of dangerous situations because they do. Our office is frequently contacted by injured workers from all different types of industries and occupations. Did you pay close enough attention the last time your employer held a workplace safety meeting or professional development training? You may know of the hazards in your workplace and you may think that you know how to stay safe. That may be true, but knowing how to stay safe and practicing safety are two different things. There is a reason you are supposed to operate machinery in a certain way or walk down a certain path or pull things off a shelf in an appropriate manner. Pay attention the next time you have an OSHA talk at work. If you have questions about safety in your work place, bring your questions to your supervisor. They want you to be safe too! Work in an office? If so you probably sit in your office chair without giving it much thought. You may even plop in your office chair. You sink down and get to work. You aren’t thinking about your posture, but you should be. Office workers are just as at risk for injury as those who work on the factory floor. You may not sustain an acute injury in your office chair, but you could very well sustain an overuse injury or one that occurs due to repetitive movement or, in your case, from poor posture over the long term. If you sit in an office chair for the majority of your day, pay close attention to your posture. In fact, you may want to invest in an ergonomic chair or see if your boss will. Sit straight, with your hips and shoulders aligned, no matter what type of chair you sit in. Our eyes weaken as we age. It becomes more difficult to focus to things close to our faces and tough to read the fine print. You could probably ruin your eyes if you stare at a computer all day, every day without ever giving them a break. Try to not stare at your computer screen for longer than 20 minutes. Set a timer if it helps. You don’t have to look away for more than a few minutes, but you do need to give your eyes a break. Make sure you get an annual eye exam and ask your eye doctor about eyewear options. You may want to invest in glasses that can help reduce eye strain. Most companies have an emergency plan in place, even if it isn’t clearly outlined. Know where you are expected to go when there is an emergency! If you don’t know where to find your emergency plans, ask a supervisor. You need to know how to get out of your building should the need arise. Not knowing what to do in an emergency situation is a risk to your safety and perhaps your life. Safety in the workplace is everyone’s responsibility. If you see something, say something. Don’t assume that someone else will be brave enough to speak up. If you notice a dangerous or hazardous condition or something else that doesn’t sit right with you, bring it to the attention of a workplace superior or someone that is responsible for keeping your workplace safe. Never be afraid to say something about a risky work environment. Never assume that your boss is just letting things slide, because it may be something that they are not even aware of. If your boss isn’t alerted to a hazard, how can they fix it? It’s understandable that workers who don’t have the benefit of sick time show up at work despite not feeling well. The problem is that when you feel under the weather and head to the office anyway, you are putting yourself at greater risk for injury. Our senses are a bit dulled when we are sick and our reaction time is slower. Not to mention that cold and flu medicine can make us feel loopy and disoriented. If you are sick, take the day off. If you don’t have sick time and can’t afford to take the day off, find out if you can work from home or in another area of the building where you won’t spread your germs. Our Injury Lawyers are Here for You! No one wants to be injured at work. No one wants to deal with the aftermath of any type of accident. Medical bills, lost wages, and long-term care needs can be life changing. You have rights when you are hurt! When you are injured, you should always report any incident to your supervisor immediately and follow the proper procedures. The law often provides for benefits and protections for people injured in work or other accidents. If you were hurt at work, in a motor vehicle accident or in any other manner please know that you have rights. Please call our office to schedule a free case evaluation and discover how we may be able to help you. We will try to answer your questions and point you in the right direction. Our firm is focused on helping injured people, please reach out to us to see if we can help you. (855) 969-5730 – we answer our phones 24 hours a day every day.